Consistent Gram Staining for a Perfect Slide Every Time! 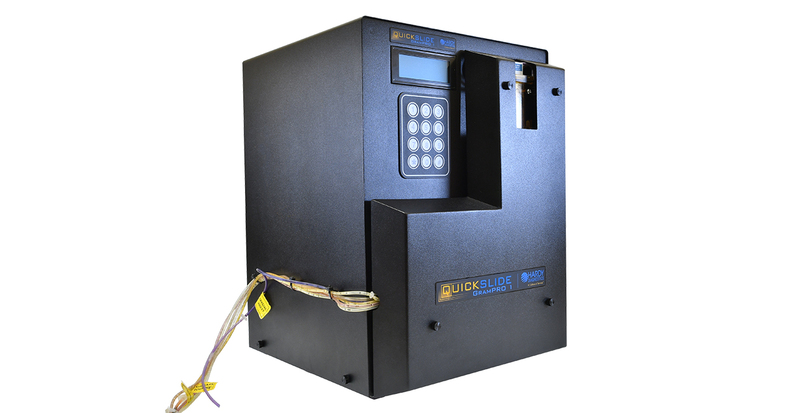 The QuickSlide™ GramPRO 1 is a single slide automated Gram stainer, equipped with the world’s most consistent decolorizing electronic eye technology. Of course, with Gram staining there’s likelihood for variation among technicologists, especially regarding decolorization. Our patented photo optic “eye” carefully analyzes each Gram stain as would any experienced technologist. 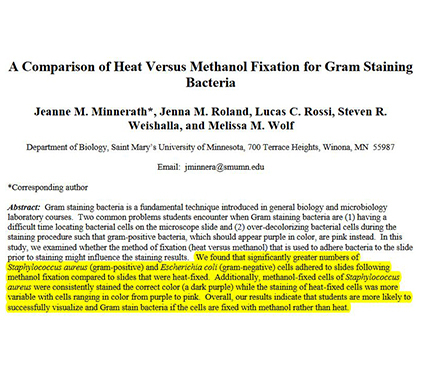 Perform Gram stains all day long with no variation among technologists, regardless of expertise. 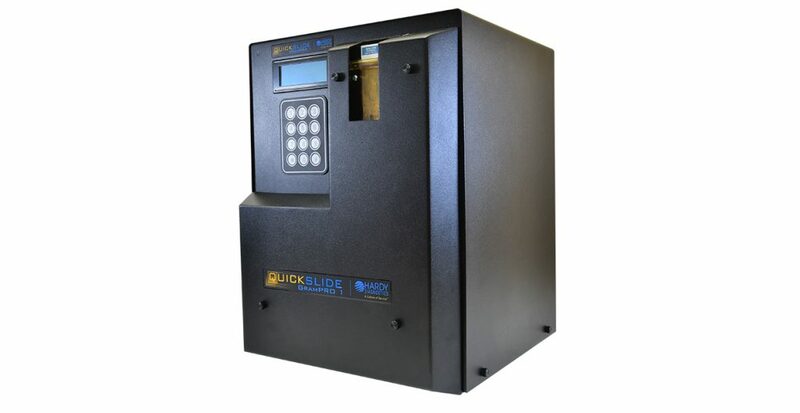 With the press of a button, automated Gram staining has never been so elegant and precise! Concerned about precipitants and crystallization? Worry no longer! 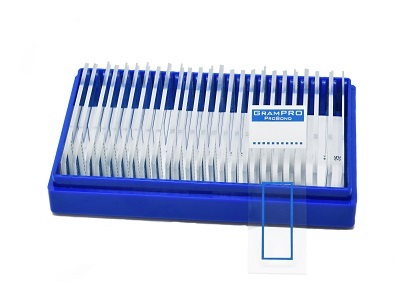 The GramPRO 1 utilizes high quality reagents. Our advanced cuvette design allows fresh and precise reagent delivery to each specimen while maintaining a clean cuvette, rinsed with DI water between each reagent. Unique to the GramPRO 1, the stir feature automatically mixes each reagent daily so you can maintain beautifully-stained specimens, free of precipitants. Stain times are also customizable to obtain the preferred color intensity of your specimens. With three feet of drain tubing, the GramPRO 1 can be placed easily near a sink or preferred waste container. What about the maintenance? Unlike many Gram stainers, the GramPRO 1 requires minimal cleaning procedures. 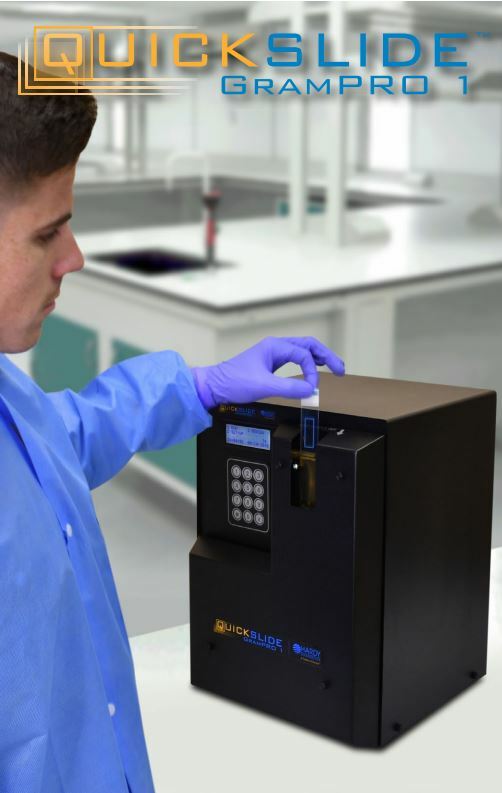 Thanks to our advanced cuvette design and programmed maintenance procedures, the GramPRO 1 requires very little hands-on interaction. Maintenance is swift and worry-free! Programmed prompts guide users step-by-step, allowing your team to focus on processing more and cleaning less. The GramPRO 1 is equipped with a patented electro-optical “eye” that fine tunes the decolorization process while accommodating various sample thicknesses. The GramPRO 1 is ideal for standardizing Gram staining in labs and ensuring consistency regardless of technician experience. No more under or over decolorization! 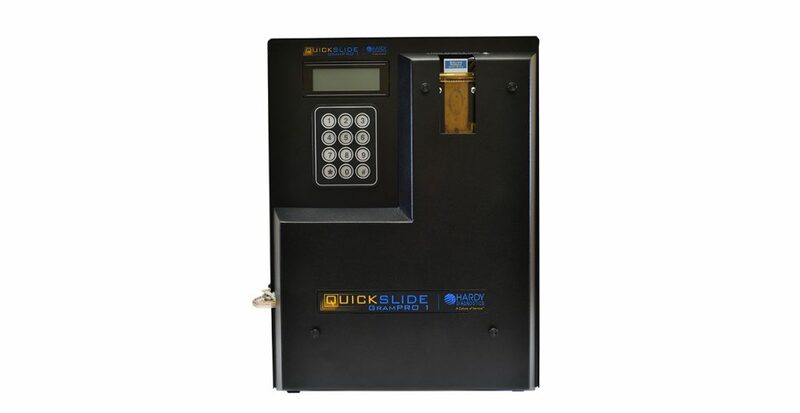 Totally hands free, each slide is automatically stained, decolorized and counter stained in about 5 minutes. Load the slide, select the stain cycle, and walk away! The user is alerted once the staining process is complete. The GramPRO 1™ is small enough to fit on most lab counter tops. Fits near most microscopes and sinks. The elongated waste tube allows for waste to be contained or disposed down the sink. It’s as simple as the push of a button. 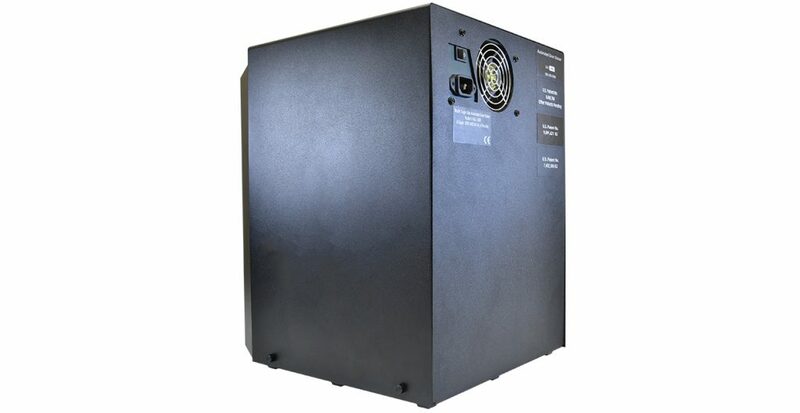 GramPRO 1™ has built-in simplified cleaning procedures for ease of use. No more messy sinks and stained counters! The instrument prompts the user when maintenance is required and gives step-by-step instructions. 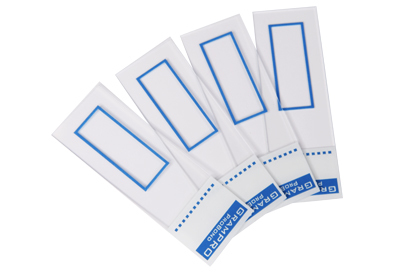 Chemically treated and positively charged microscope slides for use with GramPRO automated slide stainers. 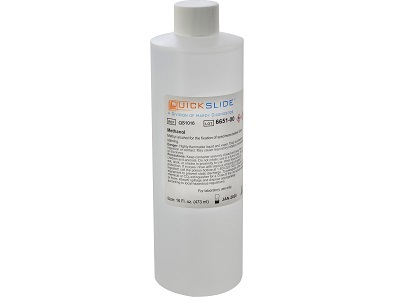 Provides superior adhesion of the specimen to the slide. Prevents sloughing off of the specimen which can lead to clogging and/ or cross contamination. Features a hydrophobic painted rectangle which keeps the specimen within the required boundaries. The dotted line designates the lower limit if a patient ID label is to be affixed to the slide. Required to be used with the GramPRO 1 Automated Slide Stainer. 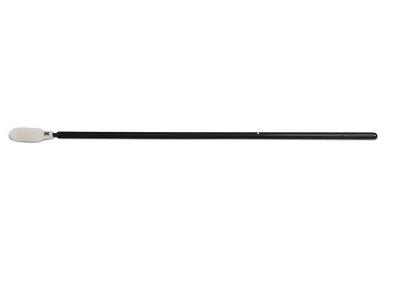 The GramPRO 1 requires a pump tube replacement every 1,100 cycles. The unit will prompt operator when the tubing needs to be changed. The kit comes with a Batch number and a Serial number that is entered under the consumable menu of the unit. The kit comes with complete instructions on installation and can be done in just a few minutes. 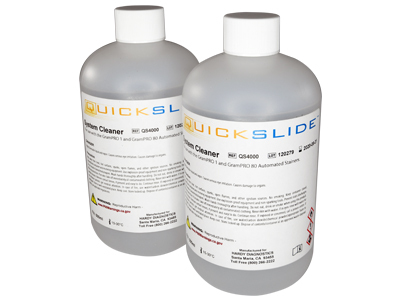 This product is used on the GramPRO 1 Scrub feature which is to be performed twice a month or every 300 slides. 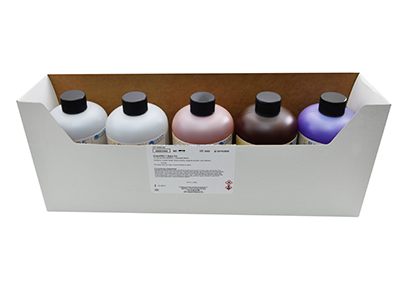 The product will clean the GramPRO 1 Crystal Violet, Grams Iodine and Safranin lines from the reagent cannulas throughout the system including tubing elbows, pump tubes, stainless fitting ports, machined ports and the photo optics windows on the cuvette. Stabilized Grams iodine is used to prevent biofilm buildup in the deionized rinse water supply for the GramPRO 1. Ten drops of iodine are added to each gallon of rinse water. 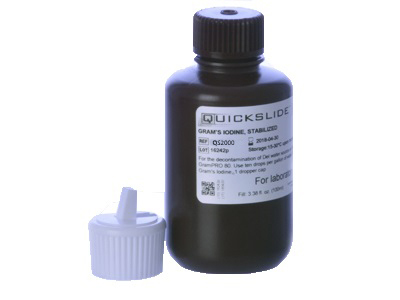 GramPRO 1 Gram stain QSlide™ PROBond slides are prepared from standard stock ATCC quality control organisms. The Gram positive organism is Staphylococcus aureus. The Gram negative organism is E. coli. These slides are intended to be used in conjunction with the GramPRO 1 and for manual staining. 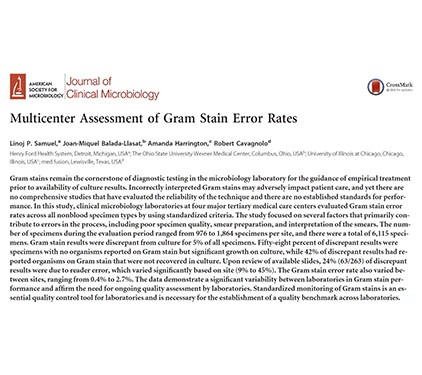 it is required that methanol fixation be used for clinical specimens or QC slides in preparation for the manual Gram stain or for slides run on QuickSlide™ automated Gram slide stainers. 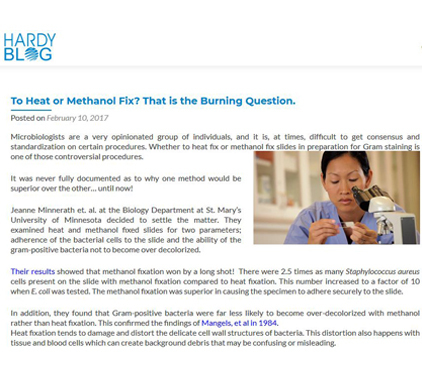 Heat fixation is highly discouraged as it causes distortion of the cells and sloughing off of the specimen from the slide, which can lead to clogging of the lines and cross-contamination. 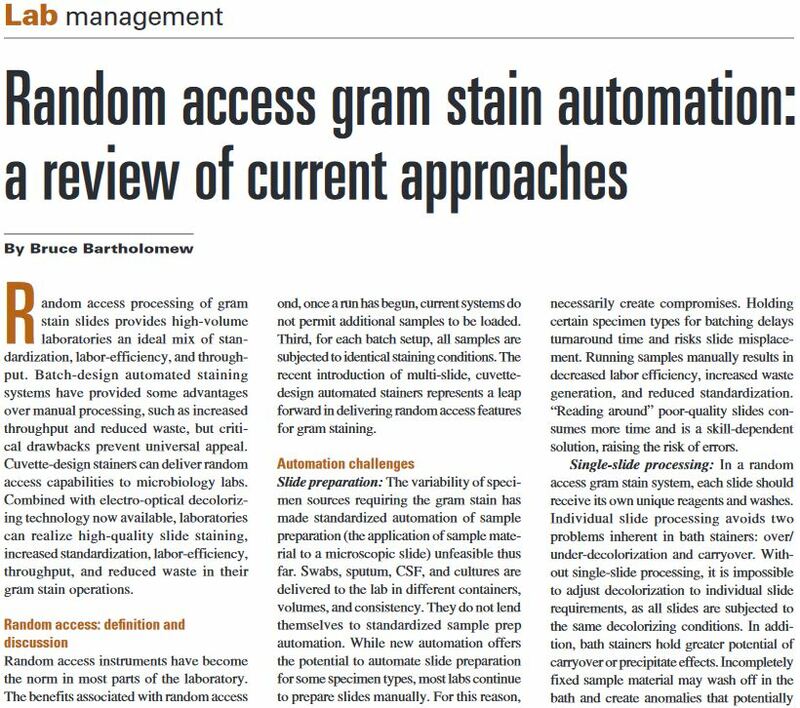 Random Access Gram Stain Automation: A Review of Current Approaches. 1. 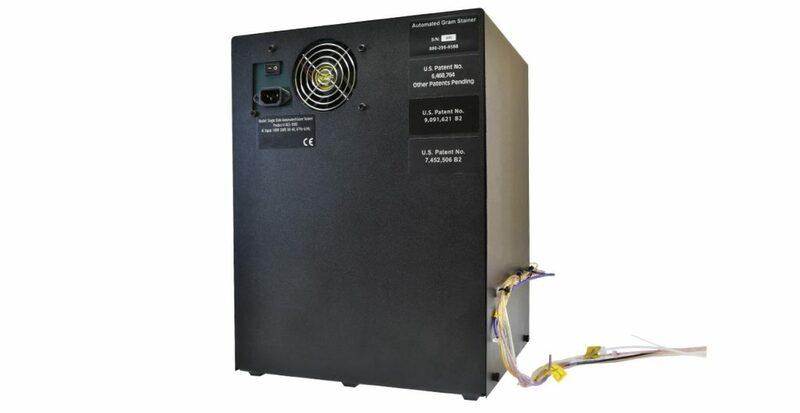 Upon receipt of EQUIPMENT, the CUSTOMER will verify the working condition of EQUIPMENT and agree to contact the COMPANY Product Manager immediately if the EQUIPMENT is not in good working order. 2. The CUSTOMER will abide by the mutually agreed upon demonstration timeframe. Unless other arrangements have been approved by COMPANY, the CUSTOMER will ship the instrument(s) and related accessories back to COMPANY by the due date indicated on included Packing List, using the shipping labels provided by the COMPANY. 3. EQUIPMENT not returned within agreed upon time frame will result in the unit being billed to CUSTOMER at the regular published list price. a. Use the original packaging, both inside and outside. b. All returns must be complete with manuals, cables, and any accessories received with original shipment. c.	EQUIPMENT must be clean, per provided protocol, and free from signs of visible damage. 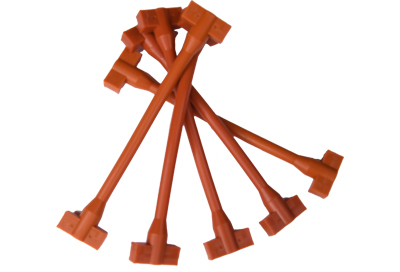 d.	Remove all orange pump tubes from instrument(s) and replace all panels before shipment. e.	Follow all “shut down” instructions included to help maintain the quality of instrument(s). f.	Use the shipping label provided for the EQUIPMENT return. If there is no shipping label, please contact COMPANY so that COMPANY may forward one. If the EQUIPMENT is not returned in good condition, the CUSTOMER will be liable to the COMPANY for the amount necessary to restore the EQUIPMENT to its original condition. If the EQUIPMENT is not restorable, it is the COMPANY’S sole discretion to determine replacement cost, which will not exceed the retail value of the EQUIPMENT. Upon submission, a copy of this form will be emailed to the address provided. I’ve written before to say how happy I am to be a customer of Hardy Diagnostics. What really appeals to me about Hardy Diagnostics is the fact that even though you have grown tremendously in the fifteen years I’ve been dealing with you, I am still treated with the same friendly courtesy as if this were a small company. I recently had to deal with Fisher Scientific. What a comedown!!!!! If Hardy Diagnostics carried everything I need, I would never buy from another vendor!!! Thanks! !